Volunteers and our artwork: What does it mean to them? This post comes from John Lehman, an intern in the Volunteer Services department. John is a senior at Alfred State and is majoring in Human Services Management. It’s National Volunteer Week! 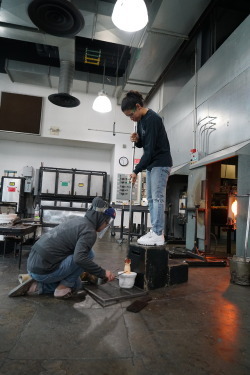 We often think that volunteers come to us to help and give themselves something to do, but I think that volunteers at The Corning Museum of Glass come to us so they can better themselves through the knowledge and experience they gain. So I gathered some volunteers from all different age groups and roles in the Museum and took the time to get to know them and learn about artworks that draw them back day after day and year after year. Barbara Fisher has been a volunteer for a year-and-a-half with CMoG and says that, when she comes to the Museum to volunteer, it’s like a boost of energy and a breath of fresh air. Barb has many favorite works in the Museum, but the one that sticks out to her most is Innerland. Innerland is made up of 38 cut pieces and 25 cubes that are all pieces of crystal. Barb especially likes this work because of its fluidity and how flawlessly it flows section to section with seemingly no breaks. You can see Barb at any of our entrances greeting guests, at our Crossroads information desk, or as a gallery floater. Jan Hobbs-White has been a volunteer and docent for 11 years. She comes back year after year because she feels like there is always something new and exciting to do at CMoG. 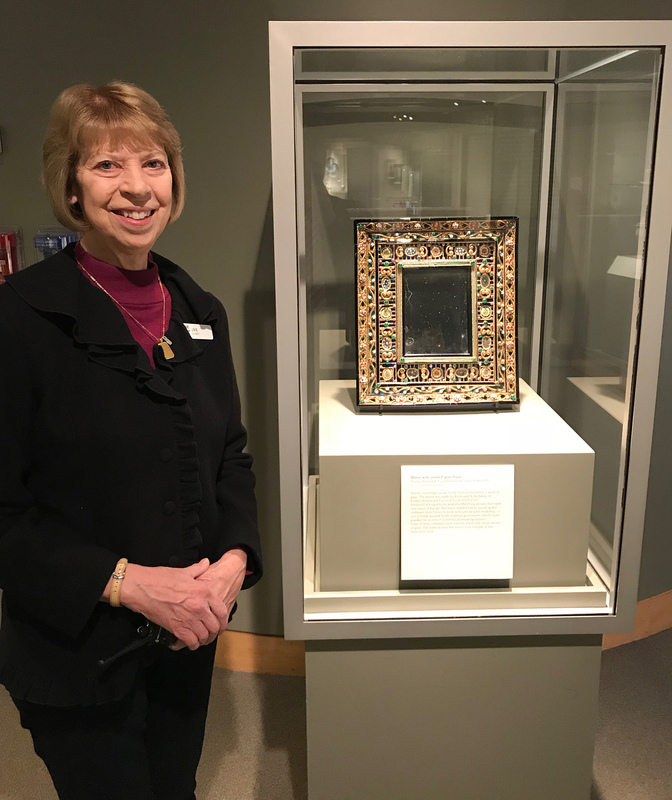 She has a really hard time picking a favorite object, but, as of now, her favorite is a recent acquisition, Mirror With ‘Jeweled’ Glass Frame, because she loves how glass can be used to make jewels. And, because curators are constantly moving objects around and adding new ones, Jan always loves finding a new object in the Museum. 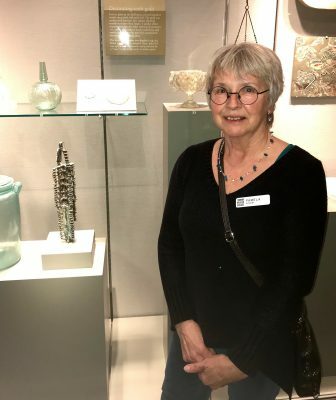 Jan told me that the reason it is so difficult to choose her favorite object is because there is always something new and exciting on display, and she loves the “newness” of each. Jan loves giving tours to our youth visitors and working at our Crossroads information desk. Barbara Kurcoba has been a docent with the Museum for about eight years. Through volunteering at CMoG, she has been able to enjoy a new sense of discovery and fun. 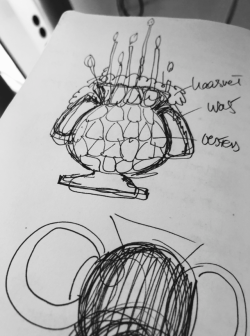 She rather enjoys Amphora, an ancient Roman glass vessel that has an iridescent look to it. Barb thinks this object is amazing because it took artists so long to recreate an effect in glass that just happens to occur naturally in nature. Barb likes volunteering at the Museum because she can continue her work as a teacher, and believes that “teaching is touching tomorrow.” Being a retired teacher, one of Barb’s favorite things to do is give docent-led tours so she can continue her love of educating while helping us meet our mission. Ed Marosak has been a volunteer and docent with the Museum for four years, and what draws him back all the time is the people and visitors that he interacts with. If you ask Ed, he can tell you any number of stories about his experiences with guests and he will always make you laugh and smile. 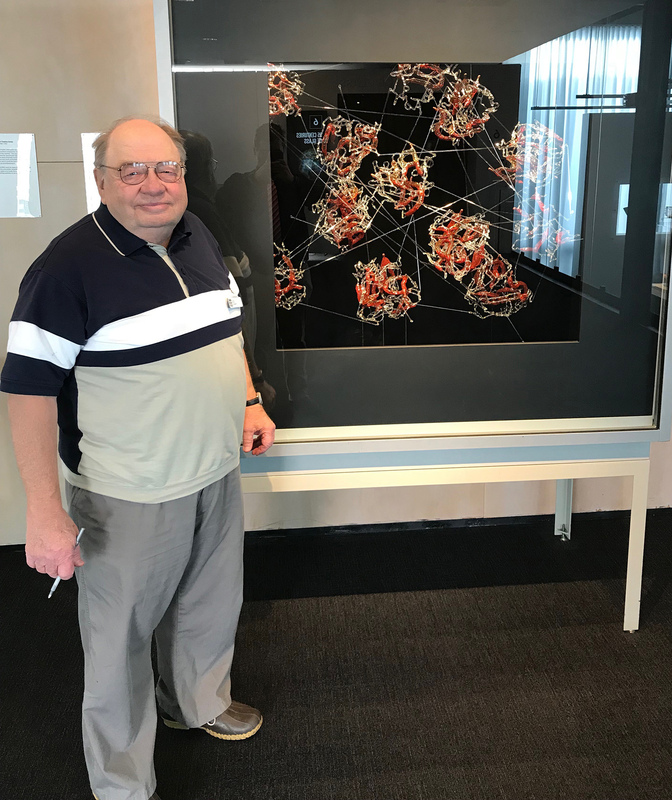 Ed’s favorite object is Family Matter by Jill Reynolds because it allows him to have a deeper appreciation for the complexity of the artwork. He loves that visitors often offer new perspectives on this and many other works. You can find Ed giving public guided tours during the summer as well as working the Crossroads information desk. Pam Fraboni has been a volunteer with the Museum for five years, but you will mostly find her giving docent tours. She loves the accessibility that the Museum offers to our local community as well as people around the world. 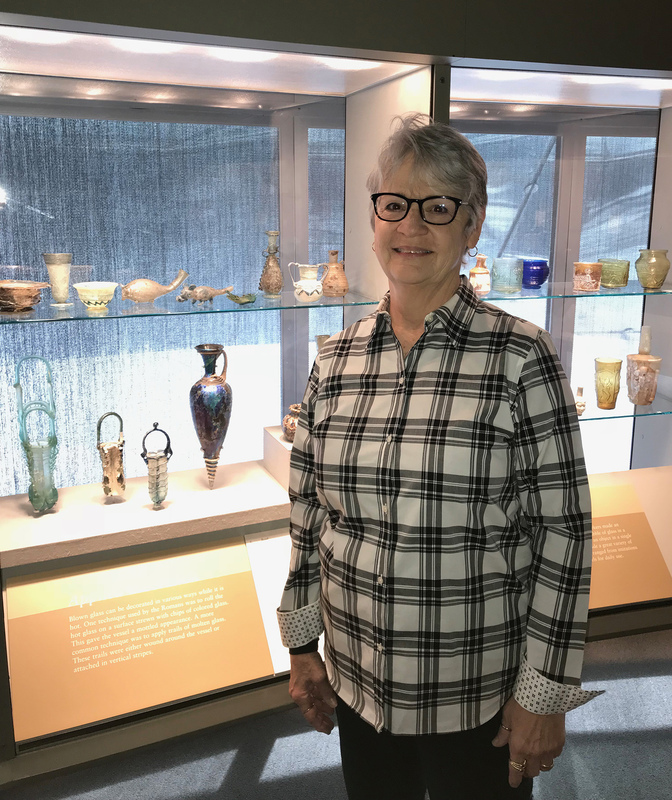 Pam has difficulty picking a specific object as her favorite, but particularly enjoys Cosmetic Tube, because it amazes her that we were able to find pieces from ancient Roman times that are still intact. There can be so many different interpretations of what something could have been used for, and that allows for a very large history and many different stories. You can see Pam giving docent-led tours all year round anywhere in the Museum. All of our volunteers come to the Museum for many different reasons and, unfortunately, there is not enough time highlight all of them, but they all have one thing in common — they all love The Corning Museum of Glass. We hold a special place in their hearts as they do in ours. If you see a volunteer at the Museum, please remember to thank them! 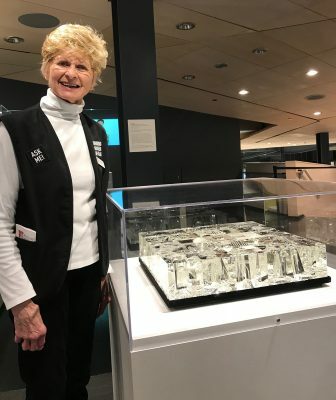 For more information about volunteering at The Corning Museum of Glass, please visit our Volunteer page. Such great people!! We are so lucky to have them. 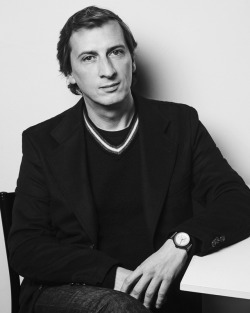 Wonderful article, high-lighting some very special individuals. They give so much to the CMOG with their friendliness and expertise. Kudos to them for volunteering their time & knowledge.